One of my favorite indulgences in life is afternoon tea and Tokyo has some amazing afternoon tea options. This article lists several of my favorite spots for high tea and pastries around Tokyo. Most people don’t know this, but Tokyo has some of the best pastries in the world, equal to Paris. When I first moved to Japan, I kept hearing people talk about how Tokyo has more Michelin Star restaurants than anywhere else in the world but I couldn’t understand why. It took me about a year or so after living there to really begin to understand why this is a reflection of Japanese culture. Before moving to Japan, I really didn’t understand their aesthetic for excellence. Japanese culture has this amazing and refined eye for detail when it comes to doing things and everything is done with the highest standard of excellence. I became so spoiled living in Japan that I honestly can’t look at pastries in America without feeling totally ruined but that’s another issue. In addition to pastry art, Japanese hospitality and service sets the bar worldwide so as you can imagine, high tea in Tokyo is a pretty cool experience. 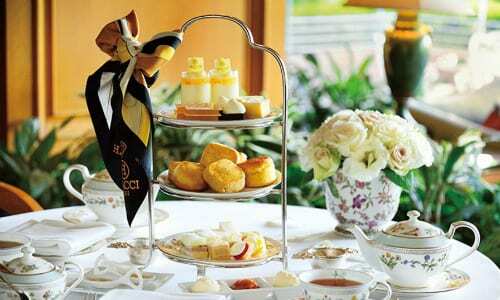 But where can you find the best high tea in Tokyo? I’ve included a lengthy section in my book Hidden Tokyo on both afternoon tea as well as Japanese tea ceremonies. I provide a detailed list of the best teahouses in Tokyo – places that take you far off-the-beaten path. If you’re traveling to Tokyo and you want to experience this amazing city to its fullest, I highly recommend reading my book to uncover more. The Park Hyatt Tokyo, aka, The Lost in Translation hotel, has hands down the best high tea I’ve ever had anywhere in the world at their Peak Lounge. The view, located on the 41st floor, is stunning because you have a panoramic floor to ceiling view of the city. The hotel lobby is also incredibly beautiful and for me, setting is a really important quality to a great high tea experience. There’s a skylit bamboo garden that creates that perfect peaceful mood, alongside a beautiful indoor garden with natural light. But in addition to the view, the high tea is extraordinarily good and the service is top-notch. It’s a bit on the pricier side, however there are different kinds of menus to better accommodate your budget. All in all, if you want the ultimate high tea experience, this place is by far my favorite. 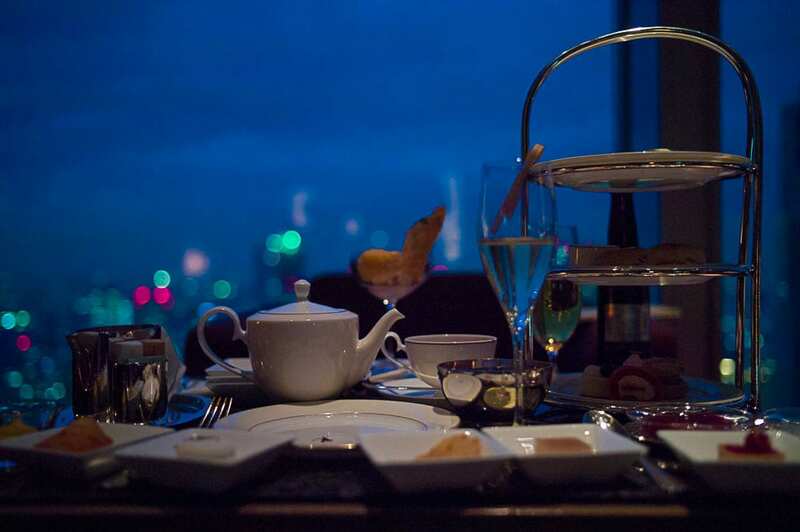 Make a reservation for high tea at the Peak Lounge here. Outside of Paris, Pierre Herme has by far the most locations in both Paris and Tokyo. The market for a well-made macaron and fine pastries is essentially the same in both cities. I honestly never knew what a good macaron even tasted like until the day I stumbled upon a Pierre Herme macaron counter at the SOGO food basement in Yokohama. From that moment, it became almost a daily ritual heading back through Yokohama Station. 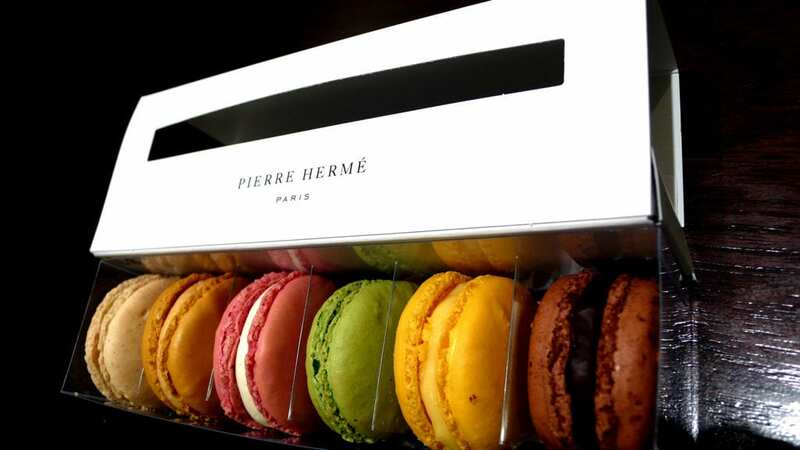 Everyone raves about Laudree but in all honestly, Pierre Hermes macarons are in a whole other realm. Laudree has a nice setting and some pretty pastries but Pierre Herme is the real deal. And when I found out that there’s a cafe in Ayoama, of course I had to go. The blogger The Wandering Eater wrote a good article on this cafe, so be sure to check it out if you want to learn more. You can’t go wrong with any of their pastries, but my personal favorite macaron flavor is vanilla because you actually taste the essence of fresh vanilla bean. The macarons are served chilled and even wrapped up and put on ice if you order them to go. The Peninsula Hotel has more of luxury feel but unlike the Peninsula in Hong Kong which is famous for its high tea & lobby (perhaps due to the British influence), the experience in Tokyo pales in comparison. The reason I love the Park Hyatt’s experience is because the afternoon tea setting is so perfectly Japan – understated yet peaceful and simple. The setting here at The Peninsula is more along the lines of your classic luxury hotel which is nice but it’s not as interesting of an experience to me. Plus the service wasn’t nearly as good. The lobby for me was too busy as well. But, they do offer a nice menu and if you’re in the area it’s worth checking out at least to have a quick pastry and a flute of champagne. The Chinzanso Hotel is one of my favorite hidden spots in Tokyo. It’s enclosed by nature and it offers a more traditional Japanese feel. The prices here are also reasonable and the setting is beautiful. 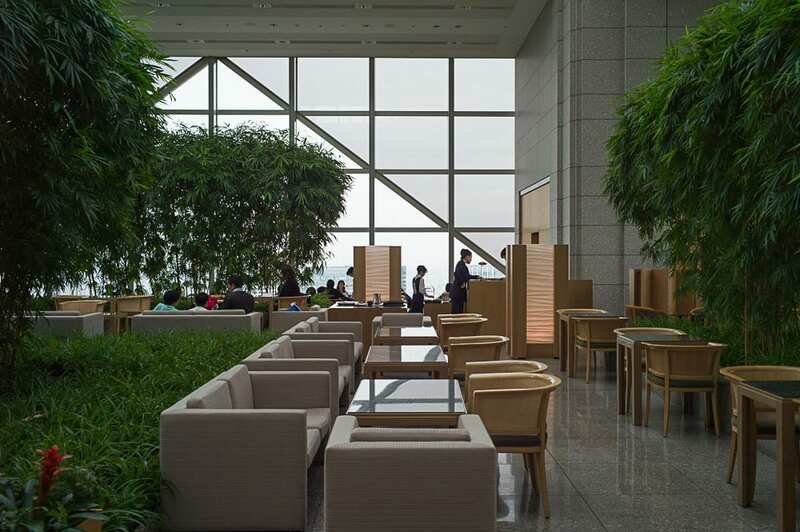 If you know of any other extraordinary places in Tokyo for afternoon tea, share them please! Also, if you’re booking a trip to Tokyo, be sure to check out my travel resources page on Planning Your Perfect Trip to Japan down below! Your tips very useful for Europe traveler. Japan is awesome place for tokyo. I love the Japan. I read your blog and really happy with your information on japan traveling. Thanks for such post and please keep it up.